For the ninth year, B. Riley FBR, Inc. will present the annual “Big Fighters, Big Cause” Charity Boxing Night on Wednesday, May 23 at Loews Santa Monica Beach Hotel. 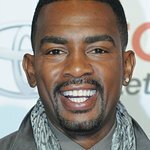 Actor and comedian Bill Bellamy will return as host of the star-studded exclusive event that will feature first-class entertainment, four action-packed live fights presented by Oscar De La Hoya’s Golden Boy Promotions, and a live & silent auction display featuring iconic memorabilia and one-of-a-kind items and experiences. The live fights presented by Golden Boy Promotions will feature Jousce “Tito” Gonzalez (7-0, 7 KOs) of Glendora, Calif. in a six-round super featherweight fight and Irish pugilist Aaron “Silencer” McKenna (2-0, 1 KO) in a six-round welterweight fight. Rommel Caballero (0-0-1) will compete in a four-round clash in the 130-pound division, while Oscar Acevedo (2-0) will participate in a four-round super featherweight battle. 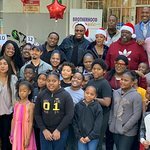 Additionally, the evening will honor multi-talented actor, comedian, and committed philanthropist, Cedric the Entertainer with the 2018 Golden Glove Award. 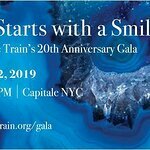 The award in part will acknowledge his numerous charitable endeavors spanning more than 15 years, which have enhanced the lives of inner-city youth and their families nationally. More specifically, in-theme with the evening’s purpose, the Golden Glove Award will be presented in recognition of Cedric’s work with Step On Up – an educational program, developed by Pfizer Inc. in collaboration with the American Diabetes Association, encouraging awareness, proactivity, and medical screenings among the 29 million people in the U.S. living with diabetes who also experience diabetic nerve pain (aka DPN – Diabetic Peripheral Neuropathy). Diabetic nerve pain is a shooting, burning or stabbing pain in their feet or hands – a condition that affects one in five people living with diabetes. Since 2014, the charismatic funnyman has been motivating Americans who suffer from these serious conditions to step up and talk to their doctors and medical professionals. “Tell them Cedric Sent You,” his effective rallying call, has found its way into American lexicon. Cedric’s inspiration for lending his voice to the worthy cause is personal in origin, ignited when his father, who is living with type 2 diabetes, began experiencing diabetic nerve pain. The Ninth Annual “Big Fighters, Big Cause” Charity Boxing Night is presented by B. Riley FBR, Inc., a leading investment bank which provides corporate finance, research, and sales and trading to corporate, institutional and high net worth individual clients. A media alert with further information on the fight card and attendees will be announced in the coming weeks. For more information and to purchase tickets, please click here.